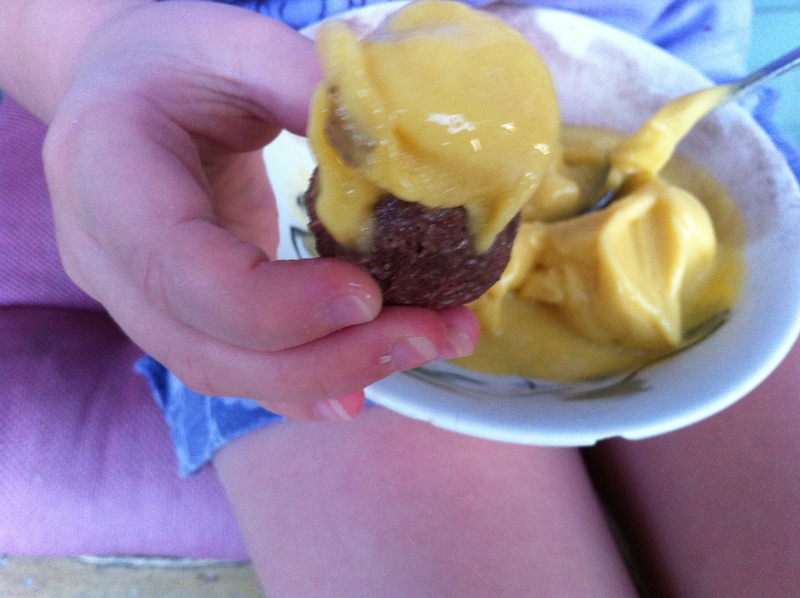 What better way to use up all your excess almond pulp (from making almond milk), than to turn it into a yummy treat for the kiddies! In a small saucepan gently melt the coconut oil. Pop all ingredients into a mixing bowl and combine well. 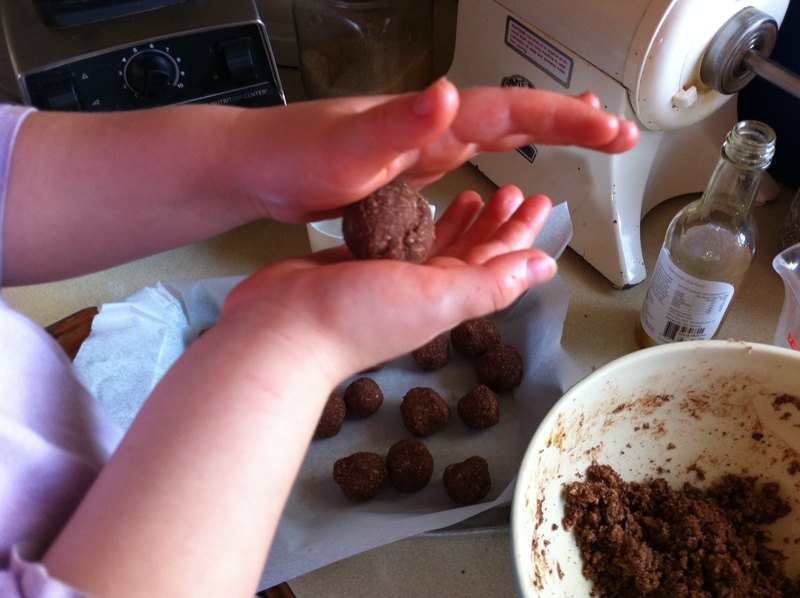 Using a spoon, scoop out enough mixture to roll into roughly 2cm balls. 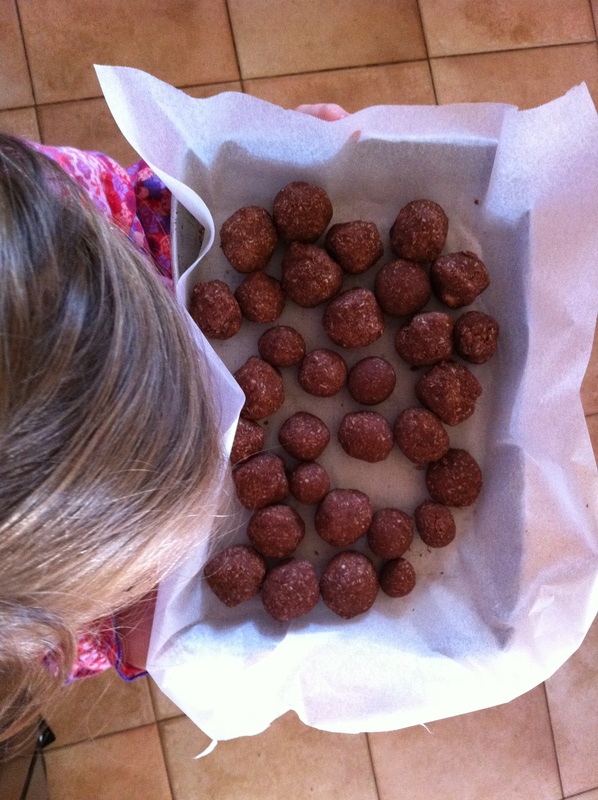 Place all the balls onto a grease-proof paper lined lamington tray and freeze for approximately 1/2 hour or longer if you can keep the kids at bay! 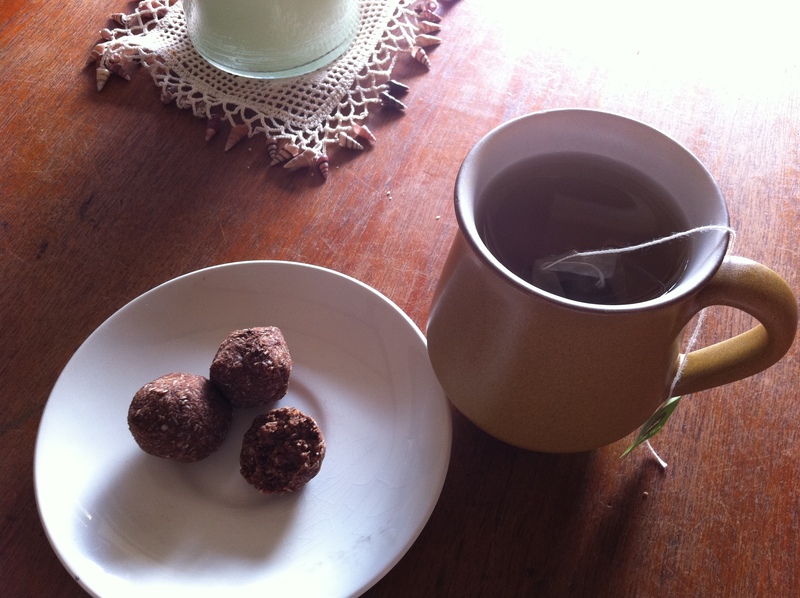 They go beautifully with a lovely hot cup of green tea and apparently it’s “yum” with Banana Mango Ice Cream too lol!